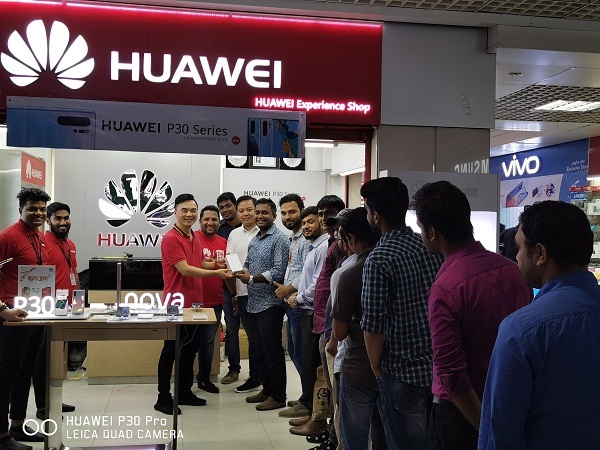 Featuring professional photography and aesthetic design in smart phone camera, Huawei’s flagship P30 series officially launched in the market of Bangladesh on Thursday (April 11). After unveiling its global curtain in Paris, the long-awaited photography-focused P30 series later launched in Malaysia and India respectively. In Bangladesh, pre-booking of three phones in this latest series started from April 3 that came to end on April 10. The leading tech giant company witnessed a huge response in the pre-booking. The stock of the P30 Pro smartphone ended within a few hours of pre-booking. The desired smartphones were given to the pre-booked customers coming from across the country on the day. At that time, a long queue of the customers was seen. 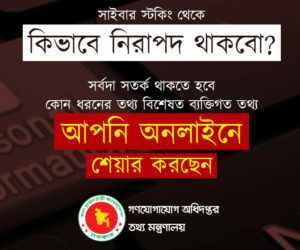 The P30 Pro smartphone will cost Tk 89,999 in the market of Bangladesh. Besides, the prices of both the P30 and P30 Lite smartphones will be Tk 64,999 and Tk 29,999 respectively. With the title rewriting the rules of photography, the HUAWEI P30 Series will change users’ expectations of smartphone photography. Achieving a record-high overall DxOMark score of 112, the HUAWEI P30 Pro is equipped with a new Leica Quad Camera System, including a 40MP main camera with the HUAWEI Super Spectrum Sensor, a 20MP ultra-wide angle camera, an 8MP telephoto camera, the HUAWEI ToF Camera and a 32MP front camera that takes selfies to a new level. The new Super Zoom Lens unlocks a superior level of zoom photography in a slim-line device design. Through a new periscope design, the Super Zoom Lens supports high fidelity magnification of 5 times optical zoom, 10 times hybrid zoom and 50 times digital zoom.